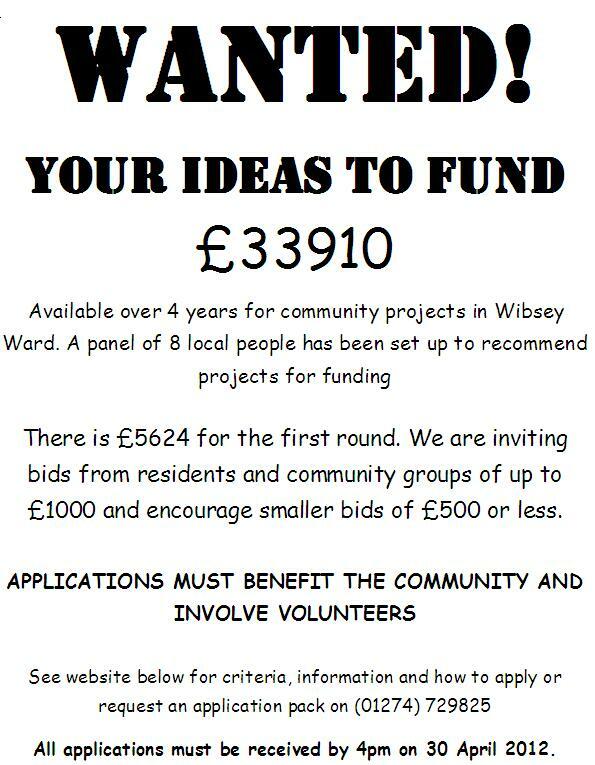 Welcome to the Wibsey Ward Community Panel Webpage. Click on the links at the top right of this page to find all you need to understand why the funding is available, how much you can apply for, what the local priorities are, who is on the panel and, most importantly, how to apply. LOOK OUT FOR OUR ‘WANTED’ POSTER CAMPAIGN AROUND THE SHOPS!!!! Round 2 Funds Fully Allocated!! !